Weak US market and expansion in Asia impact profitability – Change to the Group Executive Board in 2019 | Autoneum. Mastering Sound and Heat. Thanks to the supply of high-volume models of European and Japanese vehicle manufacturers, Autoneum increased its revenue and has grown in line with the market in the first half of 2018. Revenue in Swiss francs rose by 3.9% to CHF 1159.4 million. Organic revenue growth of Business Groups Europe, Asia and SAMEA (South America, Middle East and Africa) significantly exceeded the market level. Lower production volumes and ramp-up costs in North America as well as the strong expansion in Asia had a negative impact on earnings, nevertheless the EBIT margin of 7.5% remained at a remarkable level for an automotive supplier. In the first half of 2018, Autoneum increased revenue compared to the prior-year period and has grown in line with the market. Revenue in Swiss francs rose by 3.9% and totaled CHF 1159.4 million (prior-year period: CHF 1116.0 million*). In local currencies, revenue of the market and technology leader in acoustic and thermal management improved by 2.2% in the first six months of 2018. While the number of vehicles produced in Europe and Asia grew at least moderately compared to the first half of 2017, again fewer vehicles were manufactured in North America than in the prior-year period. Correspondingly lower call-offs at Autoneum resulted in a decline in revenue for Business Group North America. This was more than offset by the revenue growth of Business Groups Europe, Asia and SAMEA (South America, Middle East and Africa), which significantly exceeded the market level. This growth was largely driven by supply of high-volume models of European and Japanese vehicle manufacturers in Europe, Asia and the SAMEA region. Further improvement in the operating result of Business Group Europe and the first-time solid profit contribution of Business Group SAMEA supported the Company’s profitability level achieved in the first half of 2018. It was nevertheless characterized by lower production volumes and ramp-up costs in North America and the significant expansion in Asia with numerous production ramp-ups and correspondingly lower profit margins. Therefore, EBITDA fell to CHF 127.2 million in the first half of 2018 (prior-year period: CHF 130.1 million), which reduced the EBITDA margin to 11.0% (prior-year period: 11.7%). EBIT totaled CHF 86.4 million (prior-year period: CHF 94.0 million). The EBIT margin reached 7.5% (prior-year period: 8.4%). At CHF 60.1 million, net profit was at the previous year’s level (CHF 61.7 million). The lower level of profitability and high investments in capacity development and expansion led to a lower return on net assets (RONA), which at 13.2% (prior-year period: 17.1%) nevertheless again exceeded the weighted average cost of capital (WACC) of 8.2%. The numerous production ramp-ups and associated stock in tooling, which has not yet been reflected in revenue, resulted in an increase in net working capital from CHF 105.5 million as of December 31, 2017 to CHF 140.3 million. Net debt rose to CHF 259.8 million (December 31, 2017: CHF 183.3 million) due to the continued substantial capital expenditure and the higher net working capital. Driven by strong customer demand and near maximum utilization of existing European production capacities, Autoneum invested in a plant in Komárom, Hungary in 2018, making it the sixth production site in Eastern Europe. Since May 2018, multifunctional carpet systems have been produced there in series for a German premium car manufacturer. From the 12000-square-meter plant Autoneum will in the future supply German and British manufacturers with carpet systems, inner dashes and wheelhouse outer liners as well as other NVH (noise, vibration, harshness) components just-in-time at their nearby production sites in Hungary and Slovakia. Lightweight textile wheelhouse outer liners produced in Komárom will be used, among others, in a fully electric SUV by a British vehicle manufacturer, thereby contributing to noise and weight reduction of this model. In light of new forms of mobility, automobile manufacturers and suppliers are jointly working on the development of innovative technologies for the passenger compartment, which will increasingly be used as a place for work or recreation in the future. Special attention is being paid to components that support a quiet and comfortable driving experience with a low environmental impact at the same time. Carpet systems in particular play an increasingly important role as they shield the passenger compartment from external noise sources while their dimensions have a decisive influence on the quality perception of a vehicle. To enable designing the carpet already during the pre-development of new vehicle models according to the requirements of the passenger compartment, Autoneum has developed the “Carpet Cleanability Analyzer”. The underlying methodology of this measurement system makes it possible to analyze and compare the cleanability and dirt resistance of different carpet surfaces. With its efficient measuring methodology, the system produced in the Swiss research center in Winterthur is particularly suited for quality assurance and reproducibility of the measured data. Autoneum delivered the first Carpet Cleanability Analyzer to a French vehicle manufacturer in the spring of 2018.
Business Group Europe increased revenue in local currencies by 4.7% and thus clearly exceeded market growth. Higher supply volumes for models of German, French and Swedish vehicle manufacturers especially contributed to this growth. Revenue in Swiss francs rose by CHF 55.1 million to CHF 501.2 million (prior year period: CHF 446.2 million). EBIT grew by CHF 6.7 million to CHF 43.7 million (prior-year period: CHF 37.0 million), resulting in an EBIT margin of 8.7%. Through operational effects, higher production volumes and correspondingly strong capacity utilization, Business Group Europe was able to make optimum use of the traditionally stronger first half of the year and continue to grow profitably. In Business Group North America, a further decline in production volumes in the main market USA and in Canada and correspondingly lower call-offs led to a reduction in revenue of –4.1% in local currencies. In Swiss francs, revenue fell by –5.8% to CHF 472.2 million due to currency exchange effects (prior-year period: CHF 501.3 million). EBIT decreased to CHF 18.4 million (prior-year peri-od: CHF 35.9 million). This corresponds to 3.9% of revenue. Lower capacity utilization, cost-intensive production ramp-ups for models of European vehicle manufacturers and operational inefficiencies at US-American plants as well as unplanned production stops at various Autoneum customers caused by a local supplier had a negative impact on the result of Business Group North America compared to the corresponding prior-year period. With a rise of 6.8% in local currencies, Business Group Asia once again significantly exceeded market growth. In Swiss francs, revenue grew by 11.5% to CHF 127.3 million (prior-year period: CHF 114.2 million). In particular, substantial investments in the development and extension of Chinese production capacities, which do not yet contribute to earnings, as well as higher raw material prices resulted in an EBIT of CHF 11.3 million, (prior-year period: CHF 14.2 million) and an EBIT margin of 8.9%. Business Group SAMEA (South America, Middle East and Africa) continued its growth course in the first half of 2018 and increased revenue in local currencies by 23.3%, clearly outperforming the market. Higher order volumes for US American and Japanese vehicle manufacturers in Brazil and Argentina as well as strong export volumes in Turkey were decisive for this significant growth. Due to the considerable depreciation of various local currencies, revenue consolidated in Swiss francs rose by just 1.2% to CHF 56.0 million (prior-year period: CHF 55.4 million). EBIT improved by CHF 2.9 million to CHF 3.1 million (prior year period: CHF 0.2 million), meaning that this Business Group made a solid profit contribution for the first time again. Higher production volumes and correspondingly optimized capacity utilization as well as gains in efficiency were decisive for this positive result. 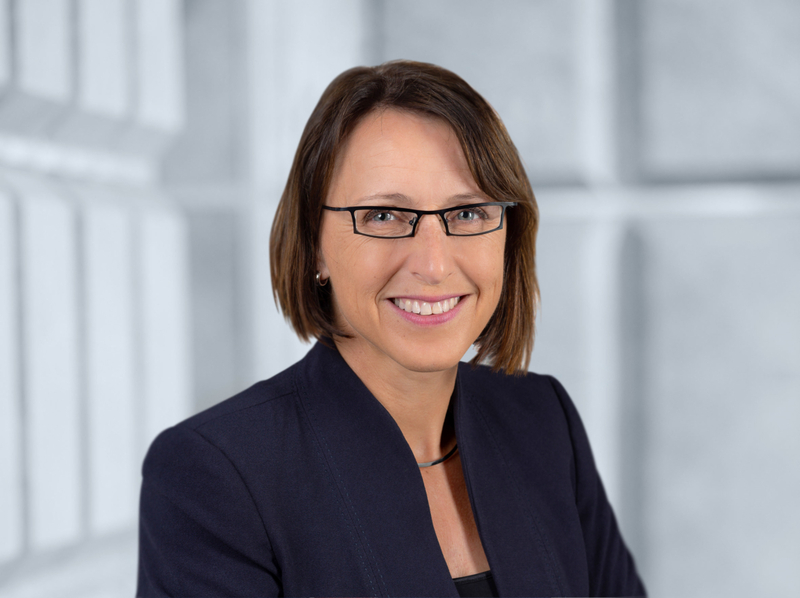 The Board of Directors of Autoneum Holding Ltd has appointed Dr Alexandra Bendler as Head of Business Group Europe and member of the Group Executive Board as of February 1, 2019. Since joining the Company in 2008, Alexandra Bendler has held various management positions, including Head of Group Strategy & Marketing from 2010 to 2014. She has served as Head of Sales & Program Management for Business Group Europe since 2014. Alexandra Bendler will assume management of the Business Group from Matthias Holzammer, who is leaving the Company at his own request to take on new professional challenges. Under his leadership, Business Group Europe has made a remarkable contribution to the Company’s profitable growth since 2012. The Board of Directors of Autoneum Holding Ltd and CEO Martin Hirzel regret Matthias Holzammer’s resignation. They would like to thank him for the significant role he has played in the Company’s success as well as his great commitment and wish him all the best in his next steps, both professionally and personally. In view of the modest recovery of the North American market forecasted for the second half of 2018 and consistently high demand in Europe, Autoneum expects organic revenue growth of around 3% in 2018. In the seasonally slightly weaker second semester, the EBIT margin of Business Group Europe is assumed to be lower and the margin level of Business Group North America to remain unchanged in the short term. Autoneum therefore expects an EBIT margin of 7% for the full year 2018. *The 2017 figures have been restated to reflect the adoption of IFRS 15.